After living away from her native Pittsburgh for 15 years, long-time nonprofit professional and community activist Sloane Davidson saw an opportunity to make a difference in her hometown. So she created Hello Neighbor, a pilot program that pairs local refugees with formally trained, native-born mentors. The project officially launched in May with an orientation for the mentors who will spend the next four months—June through September—helping refugee families better adjust to American life through various activities. To get the project right, Davidson enlisted the expertise of more than 100 people, including ethnic group leaders, government officials and academics, and completed a stint at the University of Pittsburgh’s Graduate School of Public and International Affairs, where she worked to better understand the refugee crisis. 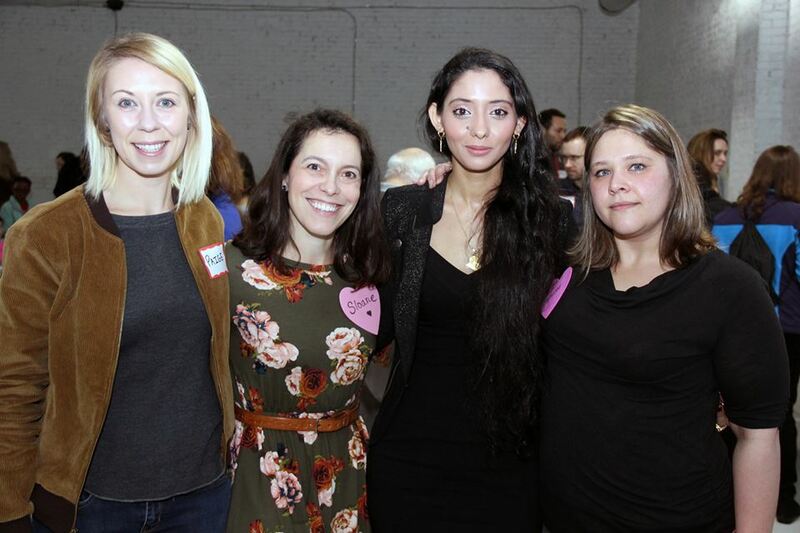 Last February, she also hosted a free Valentine’s Day crafting event that gathered more than 300 people, including Mayor Bill Peduto and more than 75 refugees from seven countries, at The Shop in Homewood. As Hello Neighbor prepares to move forward, Davidson talked to NEXTpittsburgh about the challenges of reaching out to refugees and why Pittsburgh is the perfect place for this type of program. What led you to create Hello Neighbor? Part of what I really wanted to do was get a good grasp of what was going on around the world. But more than anything it’s really important to think about how we can effect change locally. I kept coming back to this idea that refugees are a vulnerable community that doesn’t always have a voice. Something that I really saw in my own life was two sides of the equation: on one side, people who wanted to stand up for refugees and immigrants—march on Schenley Plaza or go to the airport and protest these executive orders—but they most likely didn’t directly know any refugees or immigrants. On the other side of the equation, you have the refugees I was working with who I didn’t feel knew how much people were standing up for them. I’d go visit a family and they only saw those tidbits from the media that made it seem like everybody was against them. And so I came to this idea of how can I bridge these two groups together? Something that was really important to me in creating a mentorship program was to do it as a cohort model. They say the refugee experience can be very isolating, and it is. A lot of times without language or access to transportation, they go to school, they go to work and they come home, and they repeat that. They don’t know about other activities, they don’t know about free things. There’s a lot they don’t have access to or knowledge of around getting more integrated into Pittsburgh. Could you cite some of the refugee groups represented in Pittsburgh? There are seven main groups that are represented in Pittsburgh—Bhutanese, Burmese, Iraqi, Afghan, Syrian, Congolese and Somalian. Our goal is to get at least one family from each of those groups.